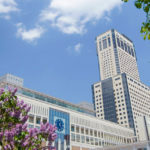 Sapporo’s historical claim to fame not only lies in the fact that it hosted the 1972 Winter Olympics, but in its status as one of the nation’s youngest major cities. Though it is now the capital of Hokkaido, famous across Japan for its ramen, beer and snow festival, it is hard to imagine Sapporo as it was in 1857, when its population stood at just seven people. 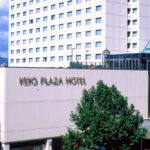 Walking through Sapporo’s streets, one may feel a distinct North American influence in the city’s structure – indeed, the city was enlarged at the beginning of the Meiji Era (1868-1912) with the help of foreign specialists who planned the city following the rectangular street system so typical of American cities.